A report I share each month on the progress of my portfolio of stocks and mutual funds with reasons and contract notes. I also share important lessons I learn along and plan for the coming month. Note: This is not my complete portfolio of my position in the market and I have open trading positions, old investments prior to Jan 2016 and other small and micro cap risky investments as well. My expectation was a correction in the month of August but the market has sideways movement in the complete month of August and this is also good for the market. The sideways movement will take a definite direction (up or down) in the month of September. Though indices has not done much in the month of August, midcaps has done wonders and so is the performance of my portfolio. My total gain has crossed 6 figures now. It is one stock that is showing good performance on a quarterly number but share price was lingering around the same 800 levels because of not so good market conditions on 4th August and I was up for it. Added 50 more units of it at around 800 level. Contract notes here and detail analysis of Zydus Wellness is in January’s report here. 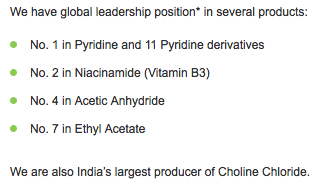 Jubilant LifeSciences is a new stock added to the portfolio in August after discussing with many of my readers on Whatsapp about investing in Pharma stock. Normally I look at the fundamental analysis for any company before investing but JLS has few exceptions and I would like to highlight them and share why I still considered JLS. With customers in 85 countries and all key products and technology platforms has in-house R&D gives them an edge. Why JLS is at lower PE than its peers? There are certain issues in JLS which I think makes it trading at lower PE than it’s peers and so I would like to highlight them. JLS had (note had and not has) very high debt but has managed to reduce the debt by almost 40% in last few years but the debt to equity ratio is close to 0.8 still now which is quite ok (just ok and not good) as of now considering it was above 1.4 few years back. Sales are flat at around 5800 Crores on a consolidated basis from 2014 to 2016. I will keep a keen eye in the coming quarterly results as I like business with ever growing sales. Future quarterly results will help analyze if the company sales are growing. If sales don’t grow in a short span of time, I may reconsider my investment. JLS is in business for more than 15 years and is profitable in most part of their operations and I never like company making losses and promise to make profits in the future. I need to know what made the company book a loss and JLS made a loss in March 2015 on balance sheet due to increase in inventory (In very simple terms they purchased more raw material than it was needed and may be used in subsequent years). From the P&L accounts, it’s quite clear the focus of the management for the last few years has been debt. Debt is on the downward spiral and profits are on the rise despite flat sales. It means management’s focus is on raising productivity and capacity utilization as well as reduce debt. I expect an increase in sales and still maintain the higher profit margins to ultimately bag bigger profits. Weekly chart of JLS show a very strong support around 280 levels. And daily charts of JLS shows the stock climbed from 280 with intermediate support being formed along at around 300, 320 and 340 gap. So my ultimate stop loss for this investment will be 280. I had booked profit in my old portfolio so I purchased JLS 300 units at around 447 level because it was available at 15 PE multiples. Contract notes here. I may accumulate more into this stock if I see a goodish bit of dip but may not consider above 500 for sure. 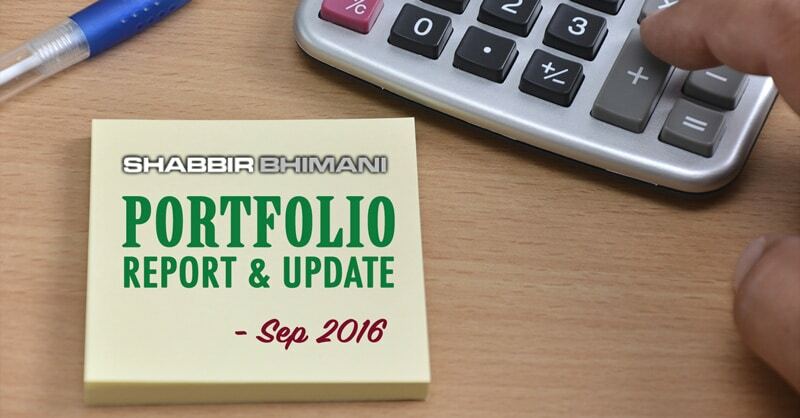 Increased in portfolio investment from ₹4,61,150 to ₹6,34,231 An increase of ₹1,73,081 in the month of August. Let us now see the performance of the portfolio we have built so far. Unrealized profits are just under the magical figure of 1 Lakh and all of my investments are in the green now with annualized returns above 30%. We have very little investment in L&T and I see the price of L&T at 1400 levels which is quite attractive for investment but had no plans to invest more in August. Will try to invest in L&T soon but I plan to focus on Tax Saving Investment in the month of September and will try to stick to it. I am over invested in the last 8 months than I initially planned but as I have booked profit in an old investment, I am ok with it. Portfolio returns are stellar so far but such good returns cannot continue and I am prepared to take some correction in September but have no plans to book any profits whatsoever as of now. If you have any questions or comments share them in comments below and I love to respond to them.